Plumbing can be a messy business as you install and fix water, sewer and drainage lines in and around buildings. Whether you are a plumber, pipe fitter, septic installer or general contractor who hires these professionals, you may be wondering whether you need plumbing insurance. It is important to get assistance from a knowledgeable agent to assess your business risks. These can include liability claims for damage you may cause, damage to your equipment or vehicle, and injury to you and others. Many property owners will require you to show a proof of insurance before they hire you for a job. Plumbers insurance can be structured several different ways, depending on the insurance company you work with and the size of your business. The basic policy for a small plumbing business will most likely be a bundle of insurance known as a business owners policy (BOP). General liability coverage: For damages, injuries or lawsuits that result from accidents or mistakes while performing plumbing work. Property insurance: For damage to your equipment or tools. Loss of income coverage: You can be reimbursed for business income loss up to one year for a covered business interruption. Plumbing and septic companies often need much broader or more extensive coverage than a combined business owner policy to completely cover their risks. Workers compensation: If you have employees, your state may require you to carry workers comp to cover job-related injuries, illness and loss of income. In some states, workers comp is not required unless you have a certain number of employees, and in others it is required if you employ even one additional person other than yourself. Commercial vehicle insurance: If you have one or more vehicles you use to drive to and from job sites and transport equipment, you most likely need commercial vehicle insurance. Many independent contractors believe their personal auto policies cover their business use of a personal truck. However, in most cases, personal auto insurance is either inadequate or simply does not apply when you use that vehicle for commercial purposes. 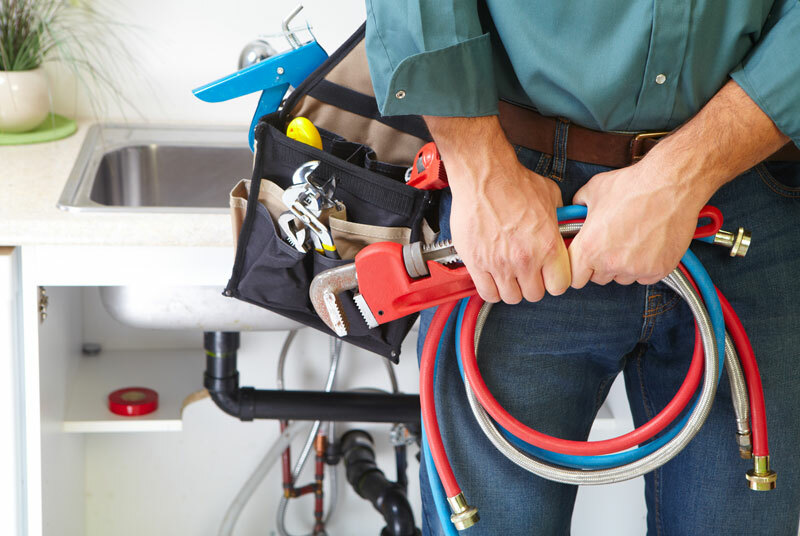 Plumbers liability insurance: This coverage will extend your general liability insurance to cover more of the specific risks of your profession. This topic is covered in more detail below. Additional endorsements: If you have made a significant capital investment in tools, equipment and machinery, you can add these items to your insurance policy as endorsements to ensure you are covered against damage or loss. What Does Plumbers Liability Insurance Cover? You will want to carefully review your liability risks and ensure that the liability portion of your policy covers your real risks, and does not have any exclusions or gaps in coverage. Adding additional plumbers liability insurance over and above your general liability coverage can help to mitigate your exposure to liability risks. Damages during new construction: If you specialize in new projects, you can be held responsible for leaking water lines that damage the new construction. This could include work delays or damage to building materials. The claims can amount to many thousands of dollars out of pocket depending on the length of the disruption and the scope and type of building damage. Damages to exisiting pipes: If the work you perform results in damage to existing plumbing, the costs to rectify the damage can be exorbitant unless you have coverage in place for these costs. Damages that result in gas explosions: Since you work in, around and sometimes on gas pipes, there is the risk of an explosion which can cause extensive damage. This may be result in fire damage or damage from the explosion itself. The cause of the explosion may be hard to pinpoint and you may have to defend yourself against a lawsuit. Plumbers liability insurance provides coverage for legal claims. Making sure you have the right plumbing insurance in place can protect your business income from unforeseen damages and lawsuits, and provide peace of mind. Not only that, but it can increase your credibility in your community and result in more leads and referrals. This is a smart place for you to invest some of your hard earned money, as it can protect your bottom line and the success of your business for years to come.